An Explanation of Benefits (EOB) is a form or document that may be sent to you by your insurance company several months after you had a healthcare service that was paid by the insurance company. Your EOB is a window into your medical billing history. Review it carefully to make sure you actually received the service being billed, the amount your doctor received and your share are correct, and that your diagnosis and procedure are correctly listed and coded. Many doctors’ offices, hospitals, and medical billing companies make billing errors. Such mistakes can have annoying and potentially serious, long-term financial consequences. An EOB can also be a clue to medical billing fraud. Your insurance company may be paying for services billed on your behalf that you did not receive. Mary J. visited her primary care physician (PCP) and had a chest X-ray because of a chronic cough. Her PCP sent the X-ray to a radiologist to be read. The following month Mary got her EOB and a bill from the radiologist. When she looked at her EOB she noticed that both her PCP and the radiologist billed her insurance company to read the X-ray. The insurance company rejected the claim from the radiologist. Mary correctly did not pay the radiologist. She called her insurance company to fix the problem. This mistake was made by her PCP’s billing company. Robert M. had outpatient surgery on his hand. He is in a PPO and he pays a coinsurance of 20% for outpatient procedures. Following the surgery, he was sent a bill from the surgeon’s billing company for $1000, 20% of the surgeon’s $5000 bill. However, when Robert received his EOB, he noted that although the surgeon billed $5000, he was paid only $3000 by Robert’s health plan. Robert did the math and figured that he should be paying 20% of $3000, not 20% of $5000. His health plan confirmed that was correct and Robert was able to pay out $600 instead of $1000. Betsy D. went to her PCP for a sore throat. When she received her EOB she noticed that instead of billing for a throat culture, her doctor’s office had mistakenly billed for a diabetes blood test. The computer program used by her doctor’s billing company automatically put down a diagnosis of diabetes, which Betsy does not have. Although there was no financial mistake, Betsy very wisely called her health plan and doctor’s office to correct the diagnosis error. In the future, if she wanted to purchase health insurance, she could be denied because she had been diagnosed with diabetes. Or, if not denied, a new health plan could impose a pre-existing condition waiting period. Aside from having well-controlled high blood pressure, Jerry R. is in excellent health and enjoys playing golf in his Florida retirement community. He is enrolled in regular Medicare and visits his doctor two to three times a year. Jerry received an EOB indicating that he had received a wheelchair, hospital bed for home use, and a portable machine to help him breathe. Jerry called his doctor’s office to confirm that his doctor had not wrongly billed for another patient. The nurse in his doctor’s office told Jerry this was most likely Medicare fraud and she gave him a fraud alert number to call. Jerry shared his paperwork with the local Medicare office. Martha S. recently changed jobs and had to change health plans. A week after switching, she had a doctor’s visit for a follow-up of her high cholesterol. Along with her office visit, Martha also had some blood tests. She was surprised when she received an EOB indicating that the doctor’s and the lab’s claims for her services were denied. Martha noticed that the EOB was not from her new health plan. 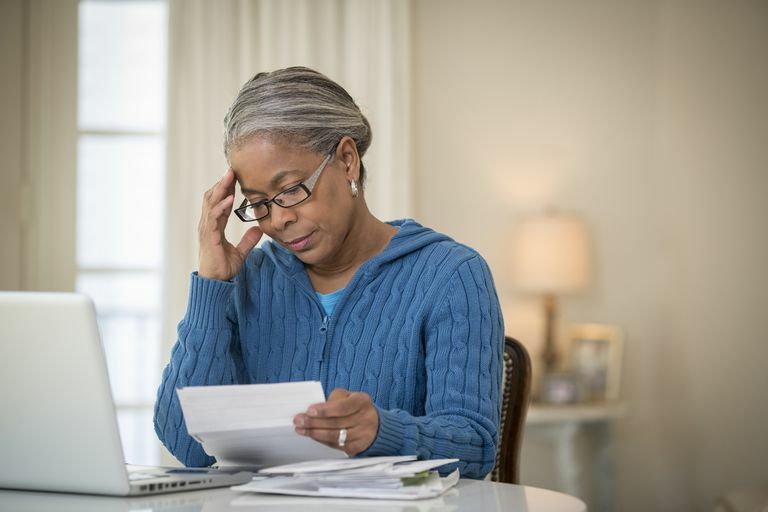 Martha called her doctor’s office and found that the billing office had not updated her information and had billed her previous health plan. First, make sure you receive an EOB after every visit to your doctor or another healthcare provider. Every time a provider submits a claim on your behalf, your insurance company must send you an EOB. Call your health plan if you do not get an EOB within six to eight weeks of a health-related service. Check to make sure the dates and services you received are correct. If you find a mistake or you are not sure about a code, call your doctor’s office and ask the billing clerk to explain things you don’t understand. Watch out for possible billing fraud or medical identity theft. If you did not receive the services or equipment listed on the EOB, contact your health plan. There are several steps in the process of filling out and submitting a medical claim. Along the way, the humans and computers involved in the process can make mistakes. If your claim has been denied, don’t be shy about calling both your doctor’s office and your health plan.